PERI provide an array of digital engineering services to compliment our formwork, scaffolding and engineering offer. From mixed reality tools to help design complex formwork systems to scaffolding asset management software – PERI can provide digital services to improve productivity, safety and help reduce costs. PERI VR helps place customers within our systems before they become reality. With the ability to understand layout, interaction between components, and the relationship with surrounding structures, VR helps remove potential issues during the design process, improving efficiency and helping to keep project cycles on track. PERI AR drawings and ExPERIence app enable designers to visualise the spatial relationships between a system and its surroundings. AR enables the best possible design by allowing all stakeholders to understand a proposed system as early as possible in the design process. MR from PERI provides market-leading capability with regards to formwork and scaffolding design. By placing systems digitally in-situ before construction, with detailed annotations and the ability to amend in real-time, design issues can be rectified more quickly than ever whilst also providing the best possible solution. 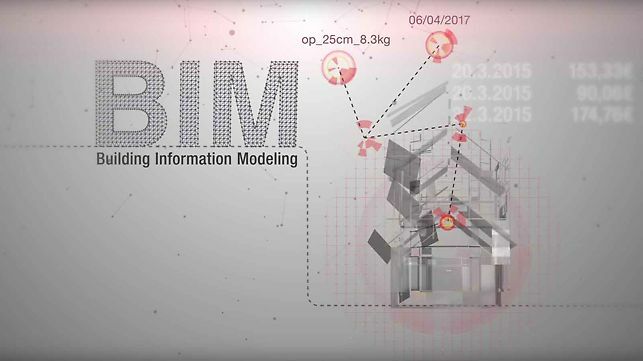 You can learn much more about our BIM services here. PERI provides a range of BIM and 5D services to benefit all aspects of formwork and scaffold design in conjunction with our construction software company, CENTRIO. Enabling 5D formwork and scaffolding design with BIM capability maximises the return on resources such as labour and material assets, before projects begin on site and throughout their lifecycle. PERI integrates its own systems with Autodesk® 360 Glue and Field to enable all stakeholders to have access to information via easily accessible interfaces. Specialising in the digitalisation of the construction industry, CENTRIO offer a range of software with the aim of improving collaboration and coordination across all stakeholders within a project. CENTRIO CLM can be used to link all data and documents throughout the lifecycle of a construction project. Drawings, documents and models from CENTRIO software, PERI CAD 3D and other applications can all be called upon through the Autodesk® BIM software. A range of applications are available within this environment such as PERI ELPOS formwork planner, Library+ for planning in Revit® and myPERI customer portal to access technical and administrative documents for any project from any location. Developed by CENTRIO, PERIpath combines with PERI UP system scaffolding to form our unique Integrated Scaffold Programme. PERIpath is a unique tool to understand the utilisation of scaffold assets, where erection and dismantling phases are taking place, and the labour resources required to complete. Contractors, EPC’s and plant owners can improve planning processes and increase on-site safety by reducing the risk from mixing of scaffold components from various OEM’s. PERI offers guaranteed product Quality Assurance and Quality Control enabling significant increases in safety. The ISP provides detailed scaffolding target estimates based on actual design detailing equipment, labour and cost, by work package and work area, using 3D modelling. Cost certainty can be achieved through reduction in equipment requirements, improved labour efficiency, monitoring and management. Actual crew performance against estimated work hours can be reviewed to take corrective actions and prevent significant budget overruns from occurring.